Some customers said Murata stop some trimmer like PV34; in Kingtronics (Kt) , the equivalent part number is RKT-3386. Kingtronics is one of the oldest trimmer potentiometer factory in China, with ISO, SGS certified. We sell top quality for trimmer in China. During 10th~12th April, ISO Manufacturer Kingtronics showed at Booth L40 in hall 3.I'd like to show some beautiful pictures with you. Please looking through below. 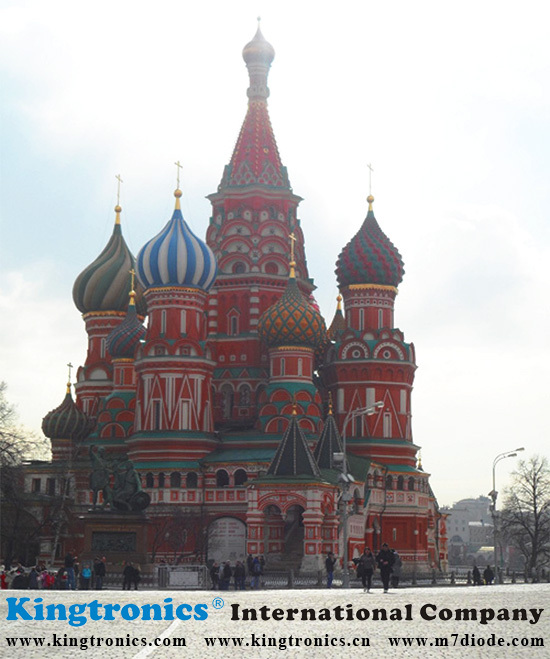 Moscow impress me deeply, beautiful city and the fresh air! But it is a little crowed. Our customers regard us as their friend, show us around for sightseeing. Established in 1995, Kingtronics International Company as an international company, we focus on product quality as well as management improvement. We insist on ISO 9001:2008 quality system. All our products are RoHS compliant, and our bridge rectifier have UL approval. 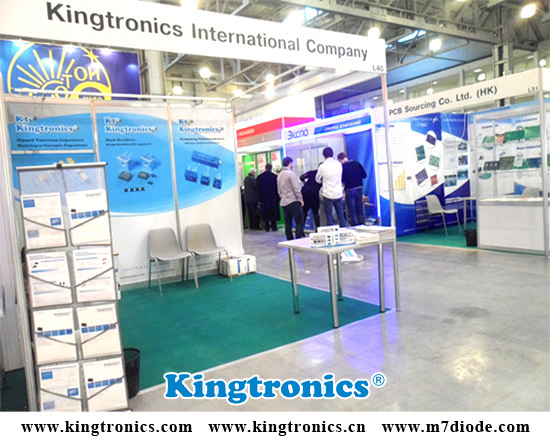 In order to expand our market in russia, Kingtronics participated in 2008, 2009, 2010, 2011, 2012 and 2013 EXPO ELECTRONICA in Moscow, Russia. This year, our marketing department devoted lots of time on our website upgrading, now our kingtronics website add a russian language version, which will help a lot russia domestic customer to know more about our company. 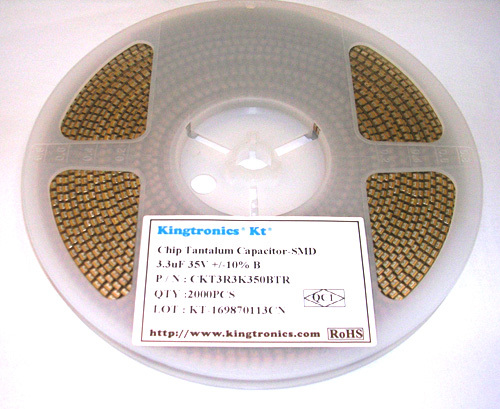 Kingtronics CKT series tantalum chip capacitors have high volumetric efficiency and stable electric perfermances. 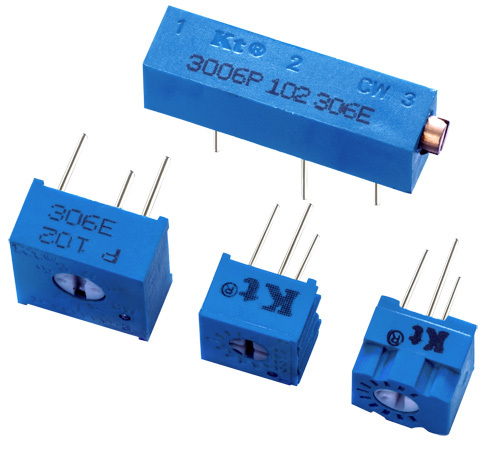 CKT surface mount tantalum capacitors can offer 6 sizes: P size (2012), A size (3216), B size (3528), C size (6032), D size (7343), E size (7343). Chip tantalum capacitors include general purpose standard chip tantalum capacitors and Low ESR chip tantalum capacitors. NEC Nichicon Panasonic Vishay China Part No. To adjust the reference voltage (VCOM) of LCD. With inappropriate reference voltage, there will be flicker on LCD screen. Use trimmer Potentiometers to adjust reference voltage for flicker restraining. LCD has some flickers if the voltage is not suitable for LCD. You can reduce the flickers when you adjust the voltage by using trimmer potentiometer. Example2: Gain adjustment for Blu-ray, DVD, CD disc reading optical pick - up. light from disc.And a trimmer potentiometer is used to adjust the sensitivity of this light - sensitive element. Example3: Sensitivity adjustment for sensor products. There are all kinds of sensors around our life. Lights turn on automatically when human be detected. Smoke detector for fire preventing. Parking assist system for distance from car to wall. Product detection sensor in factory. For these sensors, trimmer Potentiometers are used for suitable sensitivity.